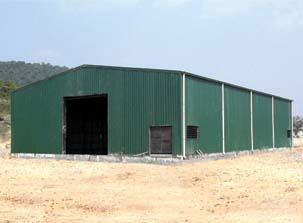 EZYBUILD® Solutions are a set of light-gauge structural buildings for industrial, commercial, residential and institutional applications. 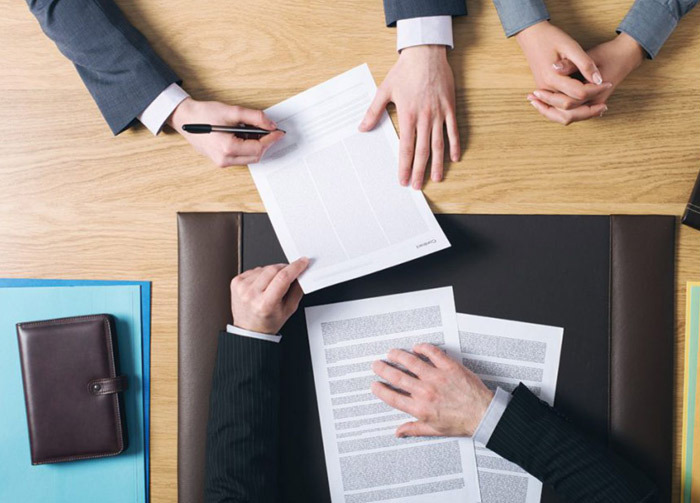 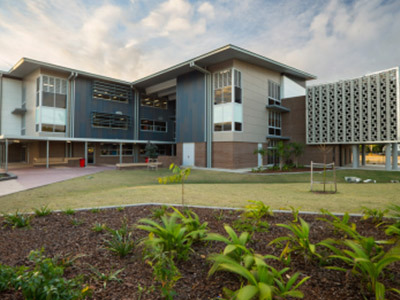 These ready to install solutions are quick alternatives to conventional buildings and are offered through a dedicated network of authorised EZYBUILD® solutions providers. 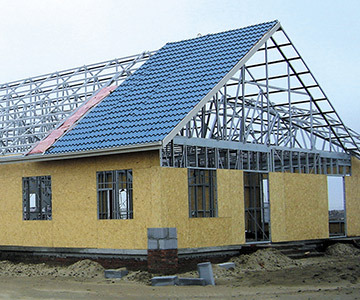 An advanced, lightweight framing technology for all your roof support solutions. 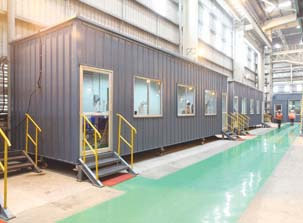 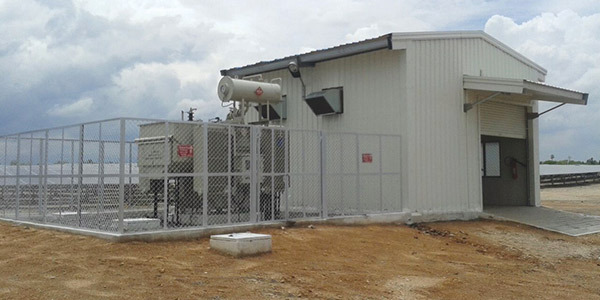 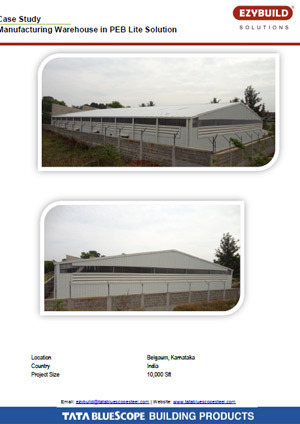 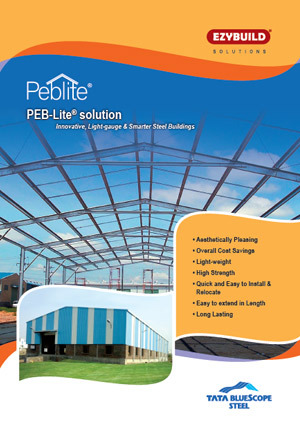 PEB-Lite® solution is commonly used for small industrial units, warehouses, agricultural sheds, site offices, cabins, residential buildings, rooftops, etc. 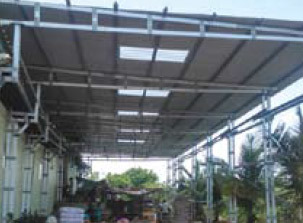 The frame of PEB-Lite® solution is formed from high strength galvanised steel members known as CEE-plus™ and ZED-plus™. 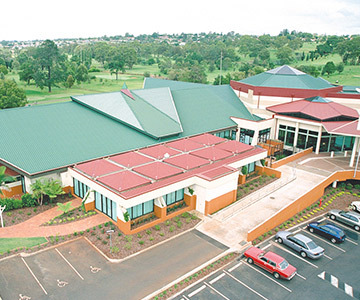 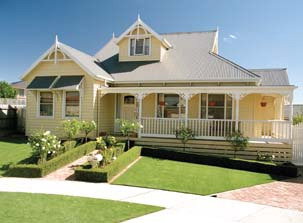 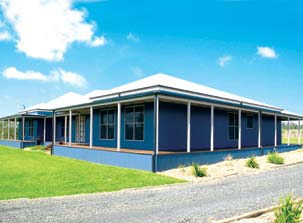 The solution is offered with LYSAGHT® Roofing and Wall Cladding as an option, manufactured from high strength ZINCALUME® steel or COLORBOND® steel that adds strength, life and aesthetics to the building. 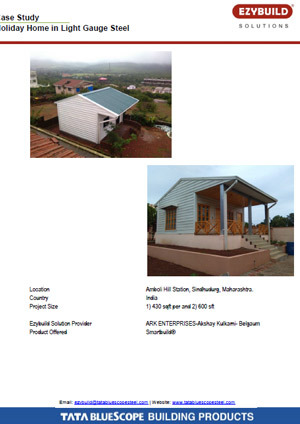 Explore our comprehensive collection of EZYBUILD® product brochures, case studies and more. 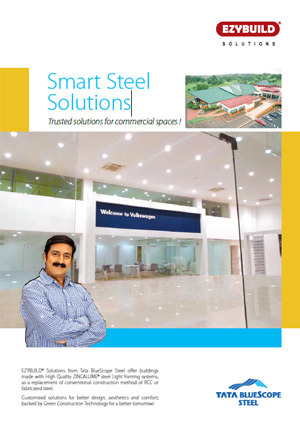 SMARTBUILD® solution is an advanced, light-gauge steel framing technology made from high tensile zinc and aluminum alloy coated ZINCALUME® steel. 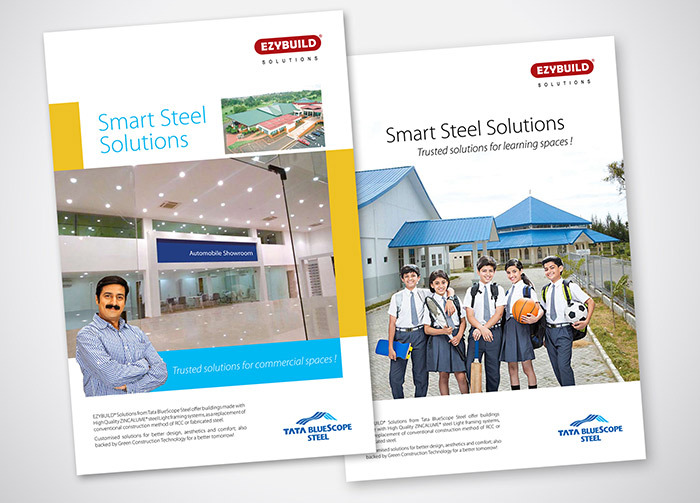 SMARTBUILD® solution offers superior features such as safety, thermal efficiency and environment-friendly credentials that make it a widely accepted steel product for construction. 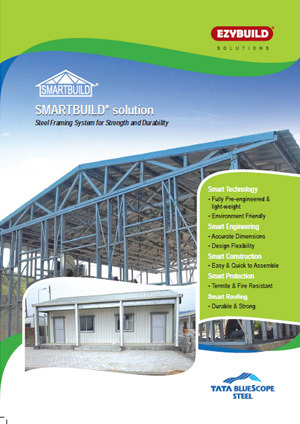 SMARTBUILD® solution offers several benefits such as strength, superior design and speedy construction. 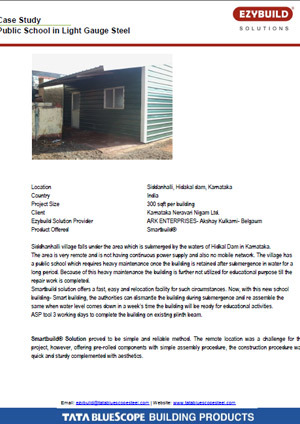 SMARTBUILD® solution, being precision engineered out-performs any other method of construction. 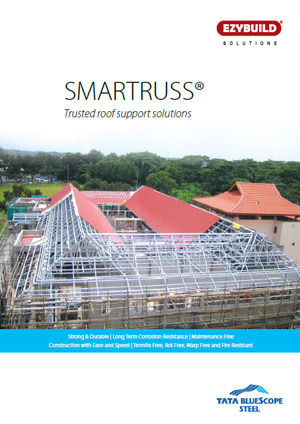 SMARTRUSS® solution is an advanced framing technology for roof support system. 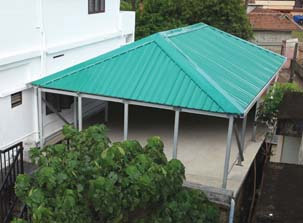 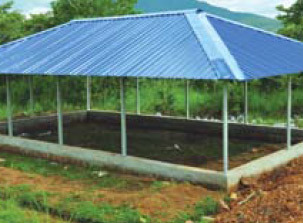 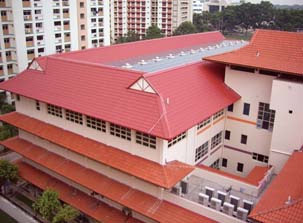 It is made from lightweight high strength steel which provides inner strength to protect and maintain the roof’s structural integrity and quality of construction. 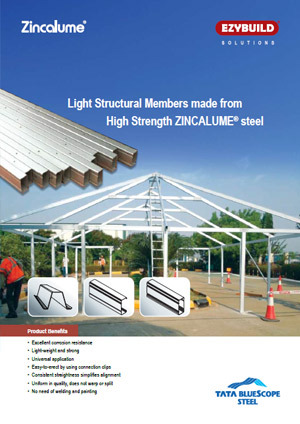 The truss members are made from ZINCALUME® steel, a 100% recyclable and an environment friendly option for construction. 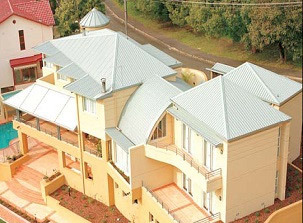 SMARTRUSS® solution is designed to support any type of roofing product and provides a sustainable base to roof aesthetics. 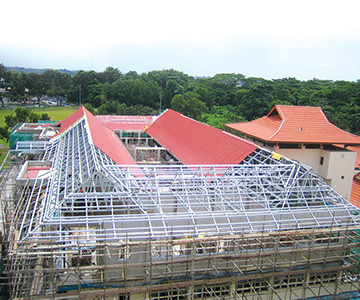 This solution is a combination of smart technology, construction, protection, roofing and precision engineering which make SMARTRUSS® solution the ideal roof truss solution. 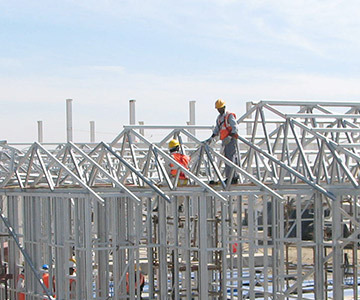 Light Gauge Steel Framing Systems are made from 55% Al-Zn Alloy coated ZINCALUME® steel AZ150 G550 (550 MPa minimum yield strength), complying with AS 1397 and IS 15961. 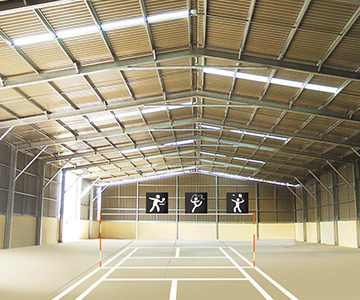 The sections can be made available in 3 m, 4 m, 5 m and 6 m standard lengths. 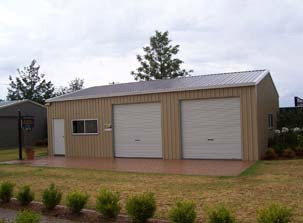 Length of up to 12 m can be made available on request. 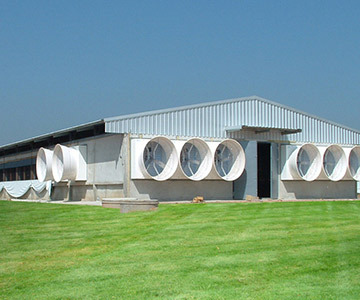 Accurate dimensions and design flexibility provide clear span for accommodating more than sufficient. 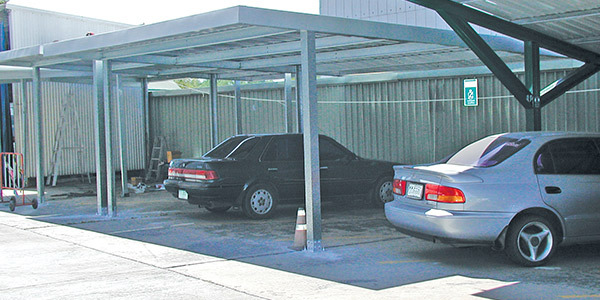 Structural components are tailor made to provide modular approach; ensuring your vehicle is well protected from the harshness of the external environment. 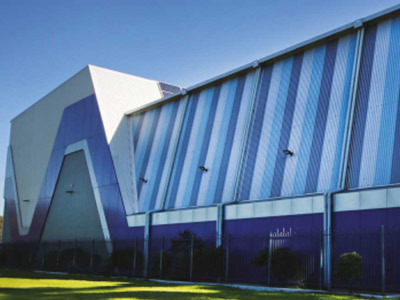 EZYBUILD® Solutions come with high strength steel roof and wall cladding profiles; backed by THERMATECH® Technology ensuring high reflectivity with cooler comforts for peaceful working environments. 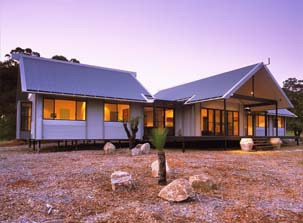 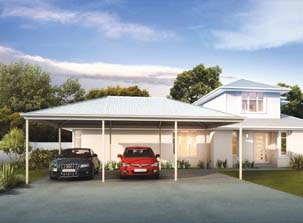 Ezybuild’s custom designs are most suitable for an architect’s vision, complementing the living spaces with the traveller’s lifestyle. 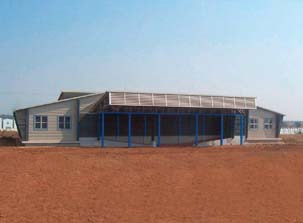 With excellent weather ability; EZYBUILD® is your trusted partner for challenging weather conditions. 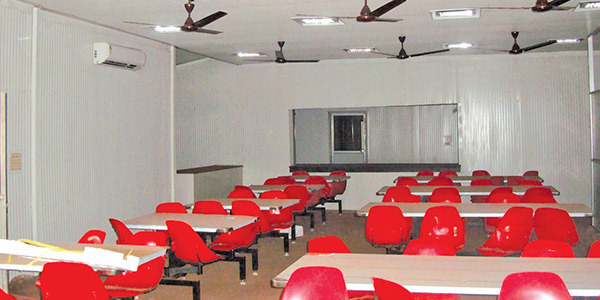 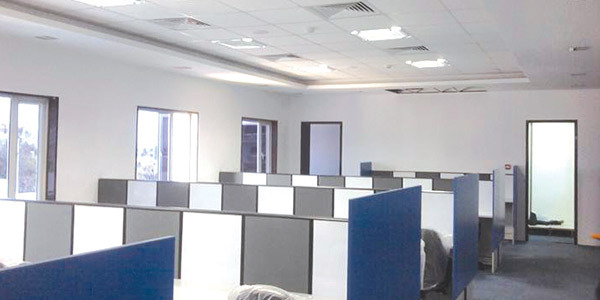 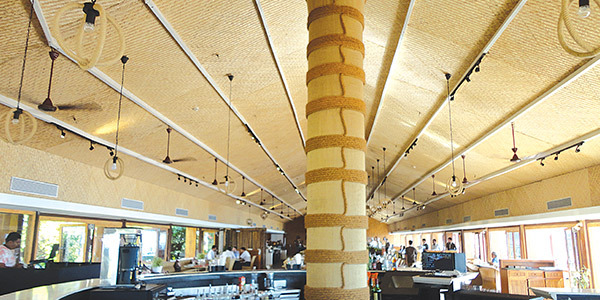 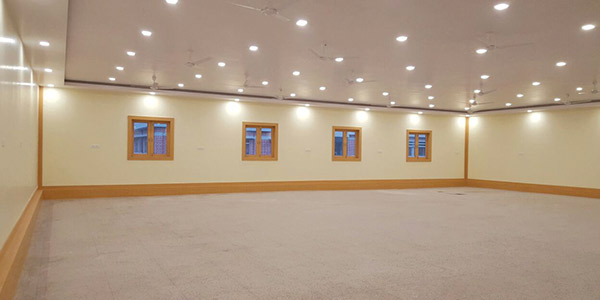 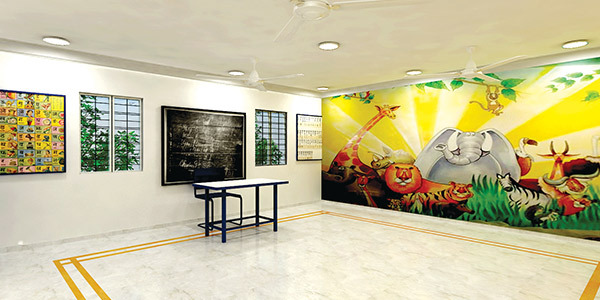 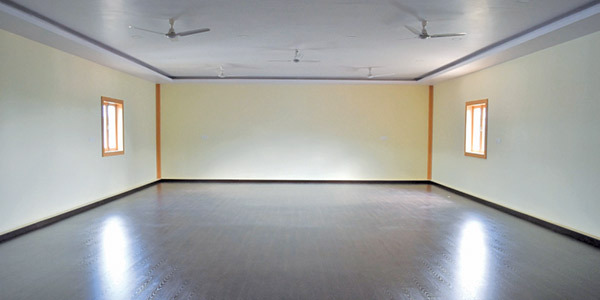 Our customised Purpose Built spaces suit your precise needs and the structures give a hassle free experience. 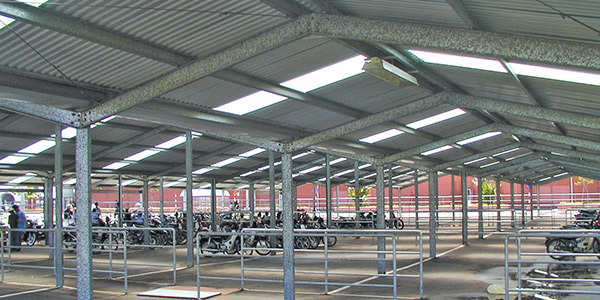 EZYBUILD®’s advanced, light-weight pre-engineered steel framing solution is apt for utility structures like grain storage, garages, machinery sheds, hangars and more. 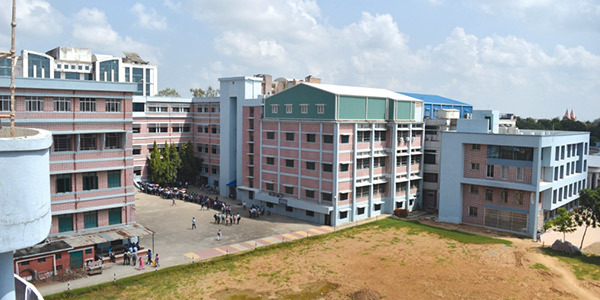 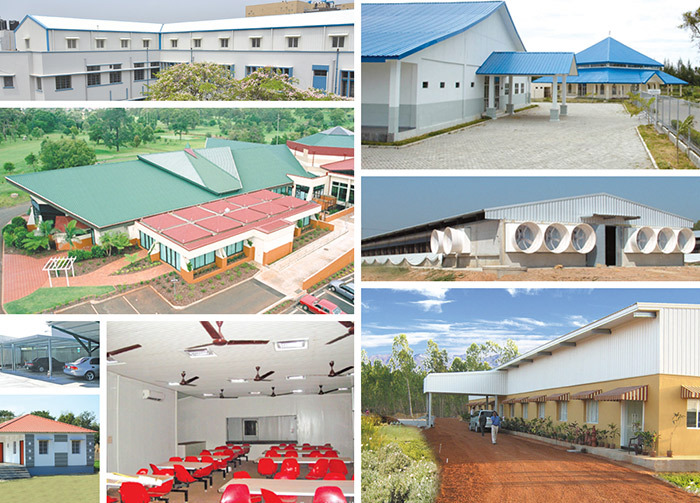 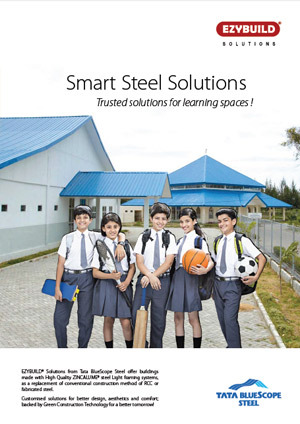 EZYBUILD® is an advanced, light-weight pre-engineered steel framing solution; apt for smart structures like schools, institutions and colleges. 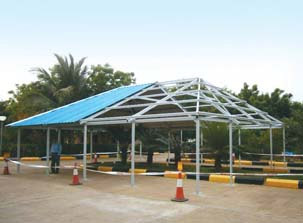 Accurate dimensions and design flexibility provides clear span for accommodating more than sufficient. 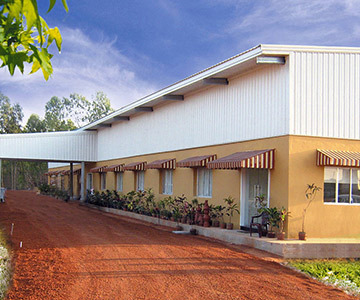 EZYBUILD® Solutions come with high strength steel roof and wall cladding profiles; backed with THERMATECH® Technology ensuring high reflectivity with cooler comforts for a peaceful meal. 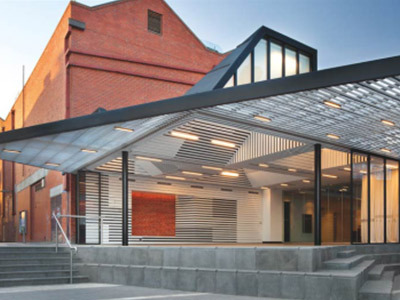 Strength and rigidity allows for longer spans and wider spaces to suit your needs. 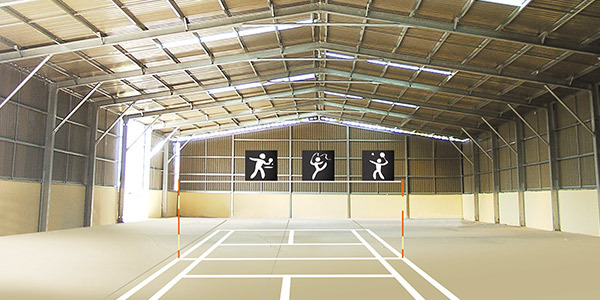 EZYBUILD® is easy and quick to install, enabling seamless spans for athletic facilities with different widths and heights. 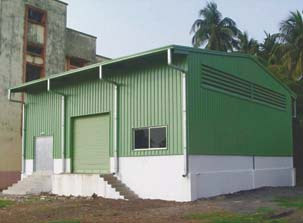 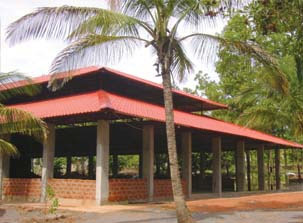 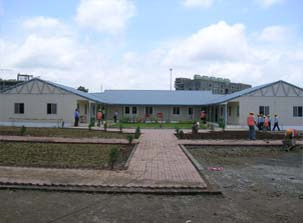 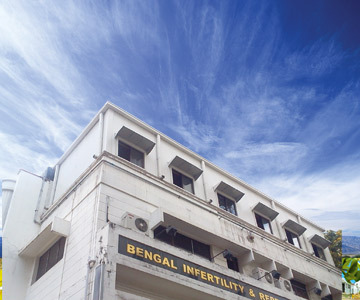 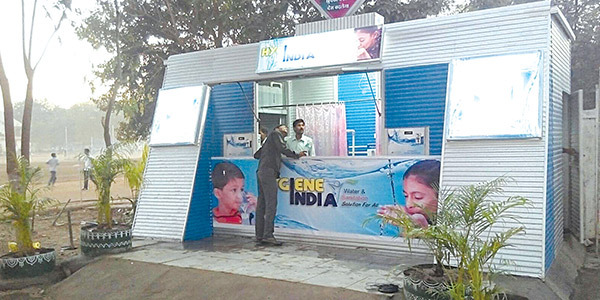 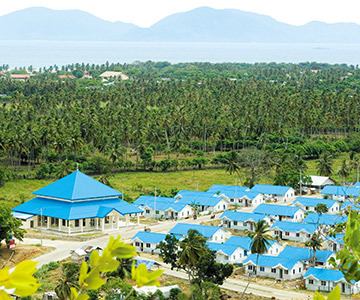 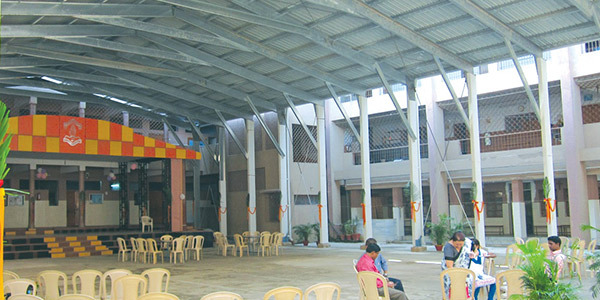 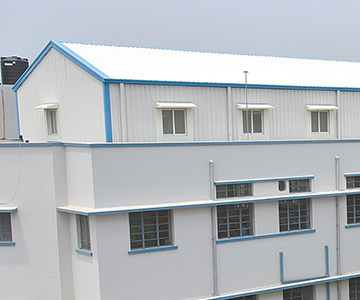 Our customized purpose built structures give you hassle free experience.